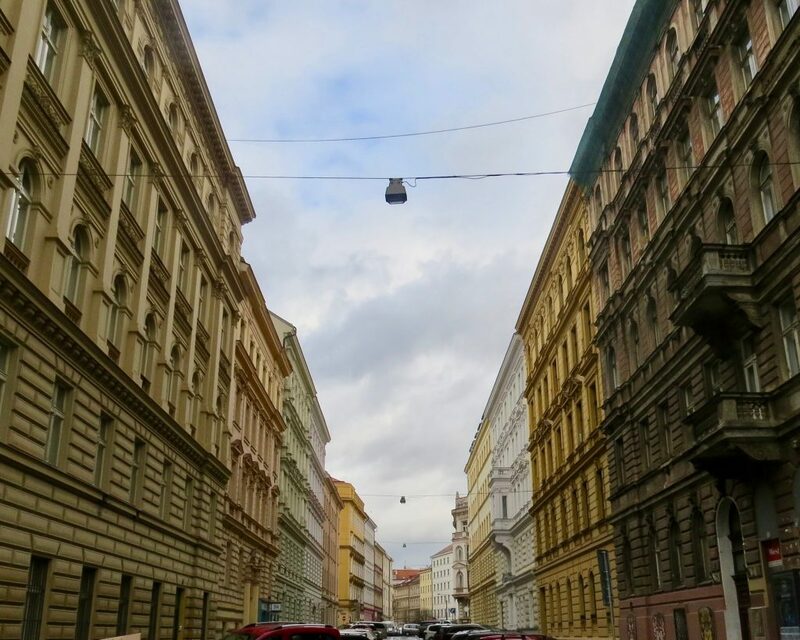 When I came to my study abroad counselor asking for advice on where to go for the most cultural, unique and affordable experience, Prague was already rolling off her tongue before I finished. Honestly, I had never heard of Prague but then I heard about it nonstop. Family members, friends, friends of friends all raved about how this city is the place to go to study abroad. Prague somehow manages to feel like a small town in a big city. Quaint houses are sprinkled among large castles while local artists paint their expressions on medieval buildings. The city is both defined and undefined at the same time, allowing study abroad students to see alternative and classic culture. 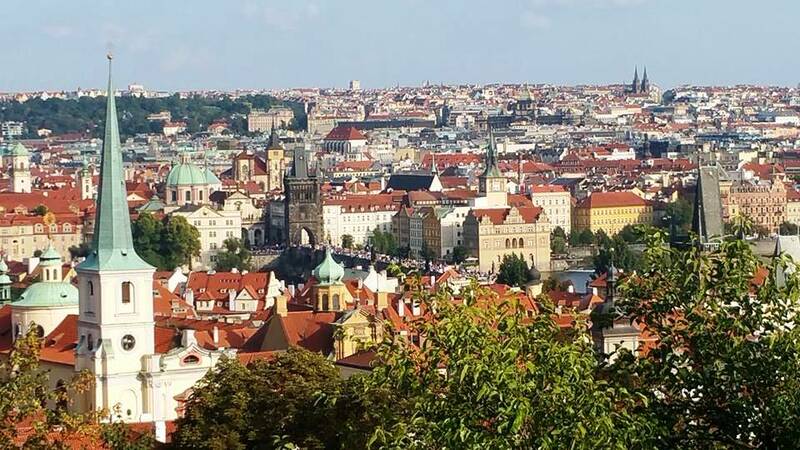 Prague is also popular because of its location, being in the heart of Prague means you can travel all over Europe. I have taken trips to Budapest, Helsinki, Barcelona and will be going to Paris and London. Also, since the American dollar goes very far in Prague, I have had opportunities that I would not have had elsewhere. However, every time I leave Prague I can’t wait to go back and spend time doing my favorite things. 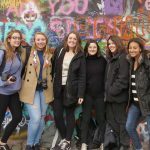 So here’s a city guide to Prague, whether you come for a summer, semester, year or just for a visit, these are great things to do. If friends are visiting, take them to the best tourist spots. I have not yet been bored of Charles Bridge, a large picturesque bridge with different size statues of Czech’s history. 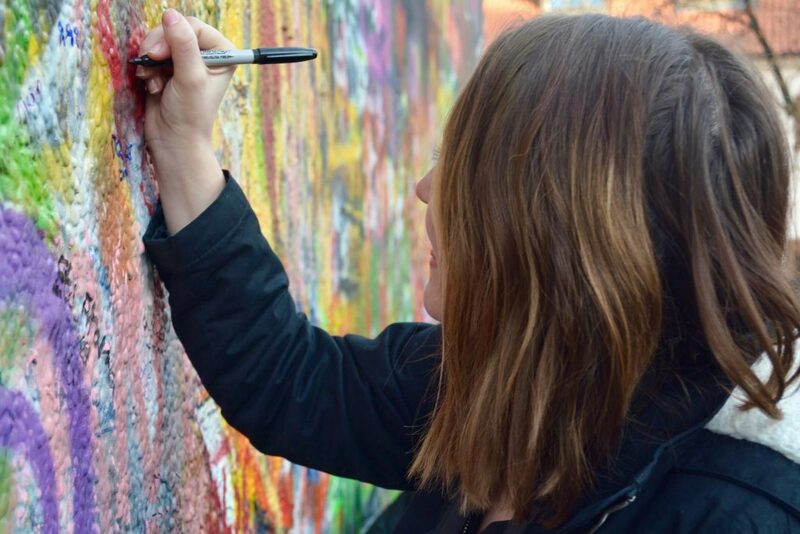 Then take them to write on John Lennon’s wall and spend some time walking around Old Town. Try a trdelnik, or chimney cake, but beware locals don’t consider them traditional Czech food. Geigor’s house. 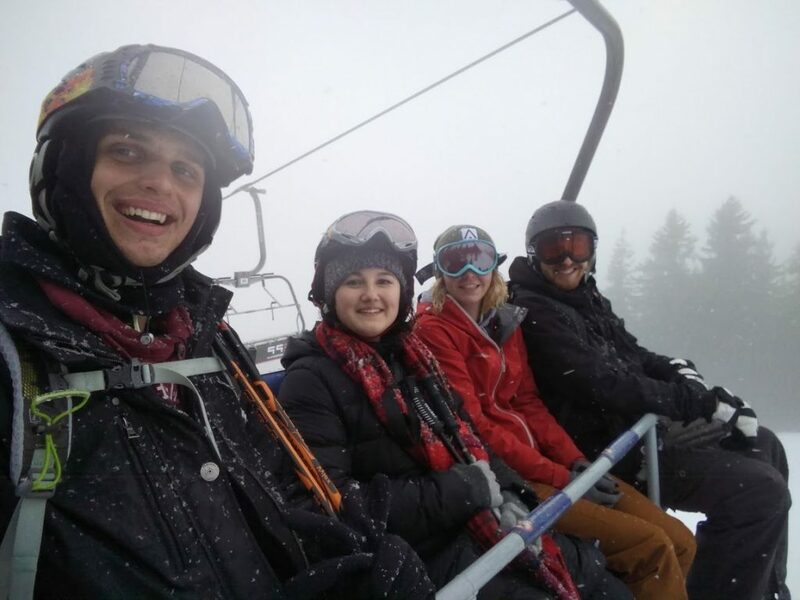 Once a week, our program advisor invites students to come to his house and cook traditional Czech cuisine. The goulash, a very popular meat dish, has been the best I have had here. 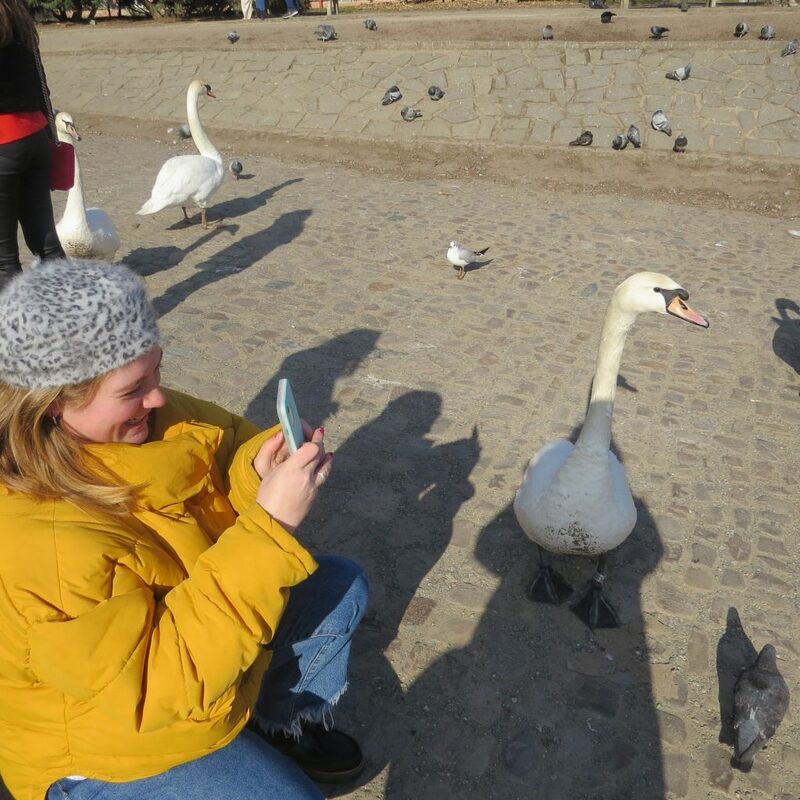 Next to the iconic Charles bridge is a hang out place for Prague’s moody but cute swans. Don’t like swans? Peacocks are outside the Malostranska station. Novy Svet. Located right near Prague castle, this cute little town used to be home to the King’s servants. Now it’s a sweet and windy neighborhood that has many small places to eat at and get the local experience.. In the summer, you can get on a boat in the canal that runs through and see beautiful views of the city. Definitely visit Prague Castle after to compare! Anything David Cerny. My uber driver told me, “I’m sick of him, he’s everywhere, but his stuff is cool.” His eccentric statues are everywhere. My favorite is a tower that has odd faced baby statues (a comment on the children who grew up during communism) crawling to the top. Franz Kafka museum. An alternative museum that artistically presents the life of the famous Czech writer. They pair objects such as optical illusion mirrors and music with his writing to create a very unique experience. Fun fact: Prague had a huge flood in the 1300’s which led the city to raise the ground level. What does that matter? Most of the buildings have beautiful underground floors that were there before the flood. U Sudu, is my favorite. On top is a casual sit down while underground is a dim lit, lively area with a room of foosball tables. Its casual if you want to relax, upbeat if you want to explore and incredibly cool no matter what. Cafe Pavlac. Part of the charm of this modern art restaurant is the down to earth waitresses that ask about our weekends, the second part is the homemade elderberry lemonade and breakfast sausage sandwiches. Plenty of options. Go to the mountains for skiing, the healing baths in Karlovy Vary , see a hockey game in a town known for gingerbread, or go hiking in Bohemia Switzerland. All areas are a cheap train or bus ride away. 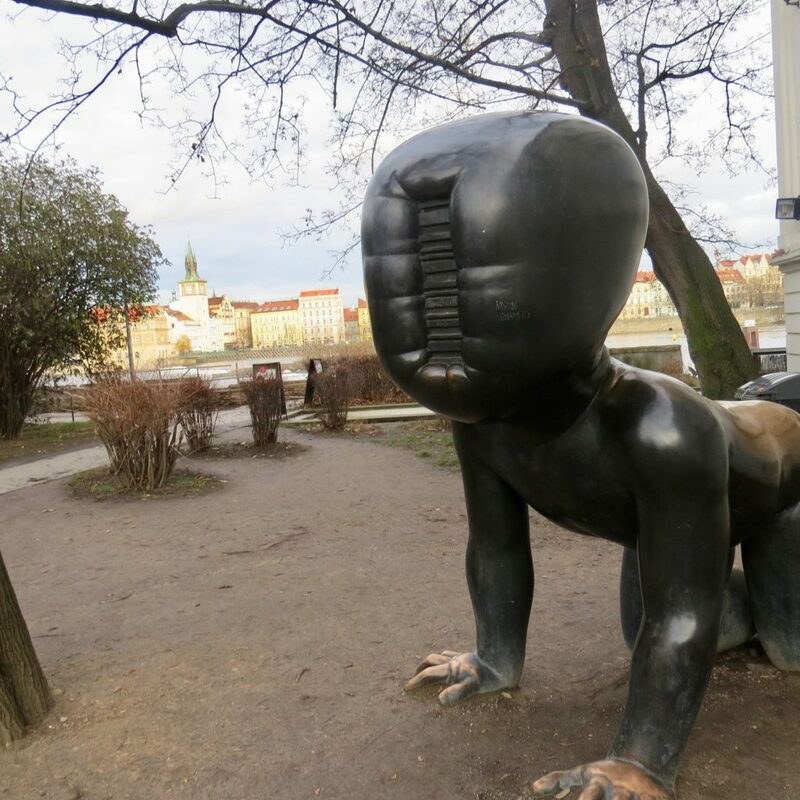 The best part of Prague is there’s something new, weird, or fun to discover each day! Have you been to Prague? What are your favorite places in the city? 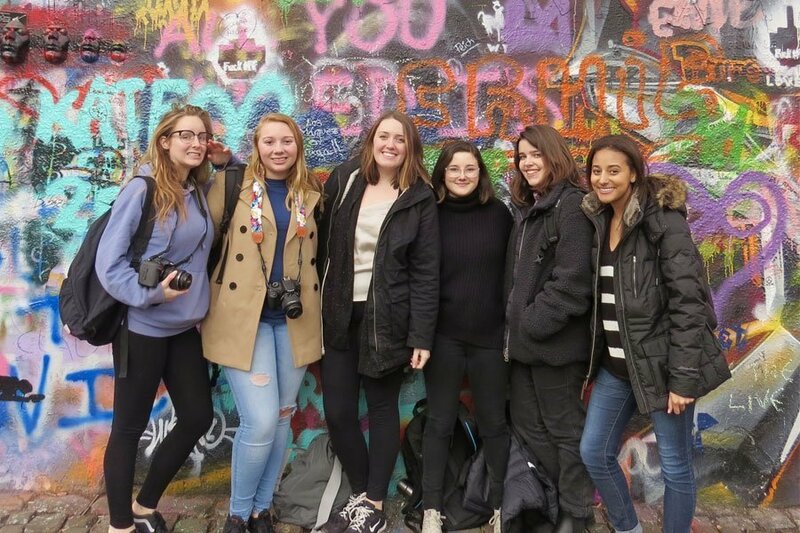 Cassie Newman studied abroad in Prague, Czech Republic in Spring 2018. During her time in Prague, she served as a digital communications intern for USAC.